Blu-ray players stand for a maximum of movie enjoyment and offer you a razor-sharp picture quality. Whether Hollywood blockbusters, underground movies or your favorite series, with a Blu-ray makes everything even more fun. Although the operation of the devices is similar to a conventional DVD player, but the playback medium is much more powerful than the DVD. You can look forward to the picture and sound at least in HD quality, sometimes even in UHD. In our large Blu-ray player comparison, we introduce you to some popular models of well-known brands – from the Sony Blu-ray player to the Samsung Blu-ray player, everything is represented. So you will easily find the perfect device for your home theater. Maybe it should even be a modern 3D Blu-ray player? Learn in our guidebook section which aspects you should pay attention to, which ports are important and which additional functions can bring a great benefit. In addition, we answer common questions about Blu-ray players in our guide. At a humane price, the Sony BDP-S1700 Blu-ray player offers you a more than solid package. Held in classic black, it is an elegant and equally compact appearance in your living room. But what is in the device? Watch your favourite movies and series in Full HD 1080p – you’ll immediately notice how much deeper and clearer the picture is compared to a DVD player. Dolby TrueHD as well as DTS-HD are also on board and ensure first-class sound quality. 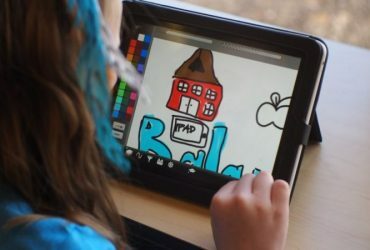 Extensive codecs are supported by the device, which means you can watch more videos, music or photos without having to worry about the file format. 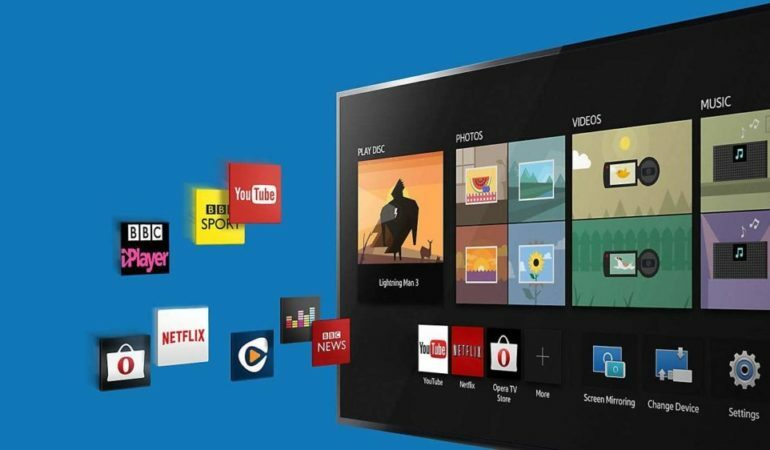 Thanks to the practical Ethernet input, you can conveniently use the popular video streaming services Netflix, YouTube and Amazon with this Blu-ray player. Catch-up TV and Video-on-Demand give you access to more than 300 apps. If you want, you can enjoy your favourite movies or music via USB play. In addition to a USB input, there is also an HDMI output and a coaxial digital audio output. The Sony BDP-S1700 Blu-ray player features a graphical user interface that makes searching for features or apps easy. If you can do without UHD and 3D, you’ll make a good purchase with this device. The Samsung BD-J4500R Blu-ray player is available at an affordable price, but still brings a lot of innovative and useful features. This affordable device is so much more than just a standard Blu-ray player, which is particularly suitable for beginners. Behind Anynet + (HDMI-CEC) hides a particularly clever feature. You can control up to twelve compatible devices connected to your TV via HDMI with just one remote control. So you have less mess on your living room table and can call about the TV and this Blu-ray player with the same remote control. With BD-Wise is another highly interesting technology aboard the player. It makes sure that the picture setting between your TV and your home theater system is automatically optimized. What follows is an even better viewing experience. A variousvideo, audio and image formats are supported by this Samsung Blu-ray player. Via USB and HDMI, numerous devices can be easily connected. Your Samsung BD-J4500R Blu-ray player comes with the right remote control and a quick start guide so that you can start using it safely. The Sony UBP-X700 4K Ultra HD Blu-ray player gives you the ultimate 4K HDR experience with all the trimmings. Since this is the most up-to-date technology on board, this device naturally costs you a little more than an entry-level model with slimmed-down equipment.HDR10 and Dolby Vision bring you movie enjoyment at its best – exact details, rich colors and a brightness that ideally should be. With this Sony Blu-ray player you can reproduce almost all disc and file formats easily and reliably – including Dolby Atmos and DTS: X soundtracks, FLAC, DSD and MP3. Even super audio CDs (SACD) can read this player. Since WiFi is also integrated, thanks to online streaming you can enjoy a whole new variety of programs. The standby mode of the device is automatically called after 20 minutes of inactivity to save energy and save your electricity bill. Whether it’s an Ethernet port, two HDMI outlets, a coaxial audio out, a USB input, or Wi-Fi, there’s no shortage of connectivity and connection technologies you can choose from. The intuitive interface facilitates you to operate and it will not be long until their apps and functions can call in seconds. With its slim design and stylish design, the Sony UBP-X700 4K Ultra HD Blu-ray player will look good in your home. The package includes not only the player itself in fine black, but also a remote control, the batteries, the warranty card and the manual. The Sony DVP-SR760HB DVD player is surprisingly cheap to have. You can expect a very attractive alternative to a real Blu-ray player here. Because in terms of image quality, this DVD player has to hide behind the modern competition hardly. How can this be? A special picture optimization technology makes this player stand out from the crowd. An intelligent upscaling technology is used which noticeably optimizes film content in standard resolution. Picture and sound become clearer. Although this DVD player is not a Blu-ray player, the quality of this system is surprisingly close to the Full High Definition standard. Cable clutter is deliberately avoided in this model because a cable connected via the HDMI connection is already sufficient for best results. Whether CD-R, CD-RW, DVD + RW / + R / + R DL, DVD-RW / -R / -R DL, JPEG, MP3, MPEG-4, WMA, AAC, Linear PCM or Xvid content from different sources you can easily play with this player. You can play DVDs in room-filling audio quality and save the contents of the silver pieces on USB. It is also practical that players and TVs can be controlled with one and the same remote control. So there are fewer devices on your living room table and you have everything under central control. 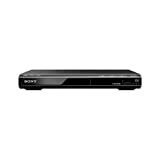 The Sony DVP-SR760HB DVD player knows how to impress with its excellent price-performance ratio. You decide on a device that is not a Blu-ray player, but has excellent picture and sound quality. With the LG BP250 Blu-ray player you will make a good choice if you want to have a reasonably priced and visually appealing player for your DVDs, CDs and Blu-ray Discs. Various connections also ensure a high degree of flexibility. Special features like 3D or WLAN you are looking for in this price range in vain. But the picture quality of the device does not have to hide because the Full HD upscaler does a very good job here. So you can also enjoy content from external sources such as your tablet or smartphone in pin sharp quality on the LG Blu-ray player. With this Blu-ray player, you can play a variety of formats. From DivX HD to MKV to VOB, from AVCHD to MP3 to FLAC – treat yourself to your favorite movies as well as listening to music in excellent sound. The delivery includes the LG BP250 Blu-ray player, the appropriate power adapter, a remote control and the user manual. The Panasonic DMP-BDT167EG 3D Blu-ray player is a compact and affordable device that offers a special level of convenience not least for friends of Internet streaming. But otherwise you get a lot here. If you find in your film collection nothing suitable for the upcoming video evening, then just use the diversity of the Internet. With this Panasonic Blu-ray player you have every opportunity – from video-on-demand to music apps. At Amazon Instant Video, Netflix or YouTube, you’ll definitely find something to your liking. Thanks to full-HD upscaling, the Blu-ray player plays your DVDs in first-class picture and sound quality. Whether movies, photos or music, on request you can also play the content directly from your USB stick or your external hard drive. A USB portadds to your room for maneuver. Many audio and video formats can be played back easily with this player. Even high-resolution formats such as ALAC, DSD or FLAC are reproduced in detail here, along with the natural depth and authentic atmosphere. All in all, the Panasonic DMP-BDT167EG 3D Blu-ray player is definitely the right package for you. Its slim and elegant design makes the compact player a real eye-catcher, which will enhance your living room visually. Compared to an ordinary Samsung Blu-ray player, this model offers four times the resolution. You can enjoy the double variety of colours and 64 times higher colour rendering, which is even better than the usual cinema standard – and that means a lot! Brightness and contrast are taking you to a whole new level thanks to HDR technology. Best of all, the crisp HDR resolution is already set automatically. The user interface of the Blu-ray player has been designed to be pleasantly user-friendly. So you get a quick access to different menu functions, without having to call the homescreen every time. Pre-installed apps add extra comfort. The player supports bitstream output from Dolby Atmos and DTS: X audio formats. Since no downsampling takes place, the sonority is optimally preserved. You also do not have to compromise on connectivity, because the Samsung UBD-M7500 / ZG Blu-ray player not only offers you HDMI 2.0 and USB 2.0, but also has a network connection. Not for the small budget is the Panasonic DP-UB9000 UHD Blu-ray player. This upscale device is a true premium Blu-ray player that has not been compromised in any way. So here is the motto “Only the best is good enough”. We’ll show you what this player can do. Look forward to impressive 4K picture quality, a dynamic HDR optimization, HDR10 + and Dolby Vision – here you experience picture and sound at the highest level. The Blu-ray player has a THX certification, so you can tune in to a movie-like sound. Not only does the device give you the power to watch your Blu-rays, but you can also choose your favourite ones from a wide selection of 4K streaming services, including Netflix, Amazon, and YouTube. For a special quality are also product features such as a high-quality audio section with separate power circuit powerful D / A converter, stereo XLR and gilded 7.1 analog outputs. Not only can you control this Panasonic Blu-ray player using the remote control, but you can also use an external voice assistant such as Alexa or Google Assistant. Two HDMI ports, two USB ports, Ethernet and WLAN provide for a variety of connection options. The front and side panels are made of solid aluminum on the Panasonic DP-UB9004EGK UHD Blu-ray player. This minimizes the vibrations and ensures that the sound quality is particularly high – and also looks great. The remote control, suitable batteries, a power cable and the instructions for use are included in the package. Affordable, compact and highly compatible – this is how you can summarize the most important features of the Archgon Blu-ray Player Combo in just a few key words . Of course there are a few more arguments in favor of this device. This portable Blu-ray player is a little different than the other models featured here on this page. So it is not suitable to be connected directly to a smart TV. But he is ideal if you want to look over your computer, for example, something in first-class image quality. In addition, the drive is perfect for data backup. However, you should note that it is not a Blu-ray recorder, but you can only burn data on CDs, DVDs or M-discs. The installation of the device is very easy thanks to Plug & Play because no separate drivers are necessary. Also, an extra power supply is not needed, because you simply connect the player directly via USB cable, which is also the power supply. The Blu-ray player is compatible with a variety of Windows and Mac versions, beginning with Windows 2000 and XP and Mac OS 8.6. DVDs are described in sixfold speed. Furthermore, the device supports the latest BDXL technology. If you have an appropriate graphics card built into your computer, then you can even watch 3D content. The delivery includes the Archgon Blu-ray player Combo and the Y-cable. Blu-ray player software, however, is not included in the package – as mentioned above, special drivers are not needed in this case either. The Samsung BD-J5500 3D Blu-ray player alone is a salient visual feature . Because it presents itself – based on the trendy curved soundbars and TVs – in the dynamic Curved Design. From a price point of view, he is classified in the lower midfield.With this Blu-ray player you can not only play CDs, DVDs, VCDs or USB storage devices, but also watch your favorite movies on a 3D Blu-ray – including Dolby TrueHD and DTS 2.0. For even more variety, the Amazon Video App is supported. Overall, you can access about 250 different apps – an enormous range of entertainment options. So you should never be bored with this device. AllShare stands for the wireless networking of your digital devices using the DLNA standard. Thanks to Anynet +, cable clutter is now a thing of the past for you. The Blu-ray player brings a variety of connections. From USB to HDMI to Ethernet and a digital audio output (coaxial), everything is offered to you. In addition to the Samsung BD-J5500 3D Blu-ray player in black, the package also includes the matching remote control and a quick-start guide. The LG UP970 UHD Blu-ray player presents you with a high-quality device from the mid-price range, which is not only capable of playing content in Ultra HD (UHD) but also provides the best conditions for fans of streaming. Multi HDR and 4K resolution give you a TV experience in high-resolution images that will captivate you. However, with this Blu-ray player, you can not only watch your movies on Blu-ray Disc or, for example, DVD in brilliant quality, but through the easy access to streaming portals like Netflix or YouTube, you have a whole new range of options. So you can stream movies and TV shows in 4K UHD resolution. The two HDMI ports and the USB port ensure that the Blu-ray player can be optimally connected to your existing devices. There is also a digital audio output and a LAN port, also known as Ethernet. Dolby Atmos bitstream is another feature that speaks for this player. Of course, you can play with the device not only Blu-rays and DVDs, but you are also like to insert your CDs, among other things, to sonicate the apartment with music. Very handy is the USB playback. This means that you can play videos, music or pictures directly from your USB flash drive through the Blu-ray player. The set includes the LG UP970 UHD Blu-ray player, a remote control with the accompanying batteries and the user manual. 4K upscaling ensures that the full HD content of your Blu-ray discs is scaled to high-resolution Ultra HD – if you have a compatible TV set. WiFi Direct, working with Miracast, allows you to wirelessly stream content from your mobile devices such as a smartphone or tablet to your TV without the need for a router. Music in true studio quality brings high-resolution audio to your living room. The Quick View / Slow View feature allows you to play Blu-ray Discs and DVDs faster or slower without affecting the pitch. With the iControl AV5 app you can control the Blu-ray player via your smartphone or tablet. Of course, you do not have to do without the usual connection technologies such as HDMI, USB and Ethernet with this device. A remote control is included. The Marantz UD7007 Blu-ray player is a true high-end device, which is naturally reflected in its price. For the small purse this device is rather not suitable. But if you want to treat yourself to something really special for your home theater, it’s worth your while to access this article. With this Blu-ray player, you can not only watch your Blu-ray discs in excellent quality – you can stream audio and video files from your home network, for example, or directly from the Internet. This includes, among other things, DivX plus HD files. DLNA 1.5 certification and online access give you access to the popular video-on-demand services Netflix and YouTube. Thus, you can make your evening entertainment completely independent and very flexible – depending on what you feel like. For the best possible quality when playing analog stereo, such as playing your CDs with the player, ensure the high-quality HDAM audio modules. The separate audio board is characterized by the use of high-quality components. So, if you want to call your own a particularly elegant and representative player that also has a lot to offer in terms of features, then the Marantz UD7007 Blu-ray player is a good choice. What is a Blu-ray player and what are Blu-ray discs? If you are a little interested in the technical background of a Blu-ray player, you should read here very carefully. After all, it’s exciting to know what’s going on in such a compact device and how the great pictures and sounds get into your living room. The biggest difference between a conventional DVD player and a Blu-ray player is the laser used to scan and read the data on the silverling. In a Blu-ray player, this is characterized by a particularly small wavelength. For this reason, in turn, he is able to safely read even extremely fine data layers. A Blu-ray disc looks like a DVD or CD, although it is confusingly similar, but it contains much more data. So much for the hardware aspect. But also in terms of software, Blu-ray players are in many ways improved compared to their direct predecessors. The devices effortlessly reproduce a variety of modern video formats and audio formats. Often there is a direct Internet connection, so you can select directly from the Blu-ray player various user-friendly apps. What are the pros and cons of a Blu-ray player? What are the reasons for buying a Blu-ray player and what is more against it? To help you make your purchase decision, here’s a brief and concise overview of the key advantages and disadvantages of these devices. Ultimately, it means that you have to look closely and compare the models in the market. If you want to use only the basic functions anyway, you can save yourself the money for the very latest device that is so bursting with features and prefer to buy a low-priced Blu-ray player. And of course you should keep in mind that the whole technology can develop only if you also have a compatible TV and a corresponding sound system. Which manufacturers offer Blu-ray players? The global players Samsung and LG offer you a particularly wide variety, in which you get offered various Blu-ray players in all conceivable price ranges. Of course, it is also worthwhile to take a closer look at the devices of the other manufacturers.Maybe you even find a no-name device, where the price-performance ratio is quite simply right? How much does a Blu-ray player cost? Anyone who is about to buy such a device will doubtless ask themselves the question: how much does a Blu-ray player cost? To give a clear answer to that, however, is difficult. Because simple models you can already buy at prices of less than 70 pounds, for example, in online trading. The more features the device should bring, the more expensive it tends to be. So you have to lie down for a UHD Blu-ray player or a 3D-capable model normally a few hundred euros – as always, the price scale is basically open at the top. Buy Blu-ray Players: What types are there? Blu-ray player is not the same Blu-ray player. 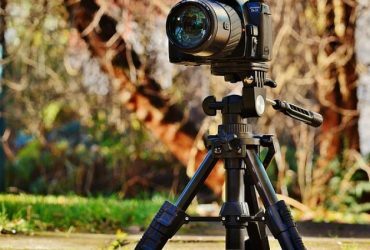 The fact that there are also models with very different equipment and a wide variety of product features is not only apparent when looking at prices. Below we introduce you to the most common types of Blu-ray players and briefly and succinctly explain what each variant is. HD and Full HD Blu-ray players – an ordinary Blu-ray player is surprisingly cheap these days. It distinguishes itself by its ability to play Blu-ray discs, unlike the DVD player, which gives it significantly improved picture and sound quality. In contrast, you can not play content in UHD and 3D normally. UHD Blu-ray player – with such a device brings her real cinema flair in your living room, because a 4K resolution is currently not topped. Accordingly, these players are usually noticeably more expensive than the usual models. 3D Blu-ray player – such a player allows you to enjoy watching movies in 3D in your own home. You now only need a 3D-capable film and the appropriate hardware, for example in the form of a 3D-capable TV set or projector. 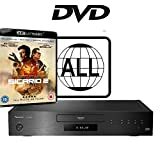 Software Blu-ray player – if you install such a drive in your computer, you can also enjoy Blu-ray content here. Of course, it is then necessary to install the appropriate software on the computer. Blu-ray recorder – a special case is the Blu-ray recorder, with which you can even describe special Blu-ray discs. For example, you can archive recordings of your favorite programs. Unfortunately, these devices are significantly more expensive than a conventional Blu-ray player. In addition, video game consoles can sometimes be used as Blu-ray players. Whether the Sony PlayStation 4 or the Xbox One, you can even play 3D Blu-rays with the devices. Unfortunately, the power consumption of these models is much higher than that of a regular Blu-ray player, so they can only be considered as an alternative to a limited extent. Online purchase or trade – which way is recommended? The dice have fallen: You definitely want to buy a new Blu-ray player. But where does the research begin and where does it ultimately strike? The possibilities are more diverse today than ever. Because you can buy the device of your choice not only in retail, but alternatively go the way over the World Wide Web. We show you the advantages and the disadvantages of both variants. The biggest benefit of going into a retail store is undoubtedly that you can directly test your eligible Blu-ray players – especially in terms of image and sound quality. This is not possible online. In addition to being able to independently test the devices, you will usually have the opportunity to ask a knowledgeable salesperson questions about operation or other issues. If you are not technically sophisticated, the company may even offer to build and connect your new Blu-ray player to your home as a specialized service. Negative aspects of a purchase in the store, however, may be the long drive, while at worst you may get stuck in a traffic jam. The search for a parking space can also cost you a lot of time, as well as queues at the cash registers. Traveling in overcrowded stores is also no fun. You will find so many different Blu-ray players on the internet nowhere else – and nowhere else can you easily make an extensive price comparison. 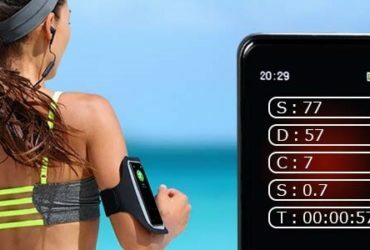 Although you can hardly try out the individual devices in an online shop, the product descriptions and not least numerous customer reviews provide reliable information about where the respective strengths and weaknesses of the models lie. When ordering over the Internet, you do not even have to leave your cozy sofa, but everything is done with a mouse click – if you want, even on weekends or in the late evening. Just make sure that you’re home when the package messenger rings. If the Blu-ray player is not as good as you had imagined, you can simply use your right of return for online orders. Do Blu-ray discs have copy protection? Blu-ray discs come with copy protection called Advanced Access Content System – AACS for short . This system was developed primarily by the global players Microsoft, Sony and Warner Bros.. The companies have partnered with Walt Disney and Toshiba to form the Advanced Access Content System License Administrator (AACS LA) to monitor the assignment of code decryption. Intel has developed another protection mechanism, the High Bandwidth Digital Content Protection ( HDCP ). So in addition to your Blu-ray player, the other devices involved must be HDCP-compatible, so you can watch the contents of your Blu-ray Disc in the best quality. Blu-ray player vs. DVD player – what is the better alternative? In many households is still today instead of a Blu-ray player, a conventional DVD player. So the question arises: Does it have to be a modern marvel of technology at all or is the good old DVD player still sufficient for your needs? One key point is the cost issue: would you like to spend more on a Blu-ray player, or are you satisfied with your existing DVD player or a budget model that you are buying new? But you should also consider other aspects. For example, a DVD player only plays DVDs and CDs. With the Blu-ray player, this usually goes on, but the range of your options is expanded to include all content offered on Blu-ray Discs. A Blu-ray player is a must for all cineastes among you who value the highest image and sound quality. Only here you get the best resolution and sound the market currently has to offer. However, should this point not be so important to you, then a classic DVD player will probably still be perfectly adequate for your purposes. Finally, there are the various additional features that feature modern Blu-ray players. If you fancy straightforward streaming, there is hardly a way around such a device over. You should also bear in mind that DVD players are more and more the discontinued model and the Blu-ray player is simply the future. Is an Internet-enabled Blu-ray player worth it? Not all Blu-ray players can connect to the Internet. Especially with particularly cheap devices, this feature is still often missing. For example, if you want to access online movie databases or streaming services over Wi-Fi or a network cable, then an Internet-enabled Blu-ray player is mandatory. Music enthusiasts can also use the connection to listen to Internet radio stations. So there is a lot to be said for making nails with your head and buying a corresponding model. Near Field Communication makes it possible for you to control your Blu-ray player via appropriate apps on your smartphone or tablet – a clear plus in terms of ease of use. What connections should a Blu-ray player have? If you’re used to the good old Scart connections, you’ll have to change a little bit with a Blu-ray player. Because you are looking for this technology in vain – it is now simply too outdated. Instead, every Blu-ray player should have at least HDMI and USB ports. For example, you can also easily connect USB sticks or other storage media to the device. In addition, usually an Ethernet connection and coaxial audio outputs are available. For wireless connectivity, a Blu-ray player with Wi-Fi is available. Which accessories for Blu-ray players make sense? Even cables such as HDMI or USB cables can certainly be listed at this point, with a modern Blu-ray player, many often also runs completely wireless, such as wireless. Maybe you also want to get some special software to manage your movie archive? With a multi-functional remote control, however, not only can your Blu-ray player be operated comfortably, but you also have the other electronic devices in your living room under constant control. Where does the Blu-ray Disc get its name from? When you read the label Blu-ray Disc, you will inevitably think of “Blue,” the English word for the color blue. But does this really have something to do with the term? In fact, that’s the case. And it comes from the color of the newly developed, short-wave laser, which is needed for reading the silver pieces. This particular laser is the most important difference between a Blu-ray player and a DVD player. Because a trademark protection of color names is not possible, Sony opted for the notation “Blu-ray Disc” instead of “Blue-ray Disc”. No wonder that at this point to this day more frequent spelling mistakes.